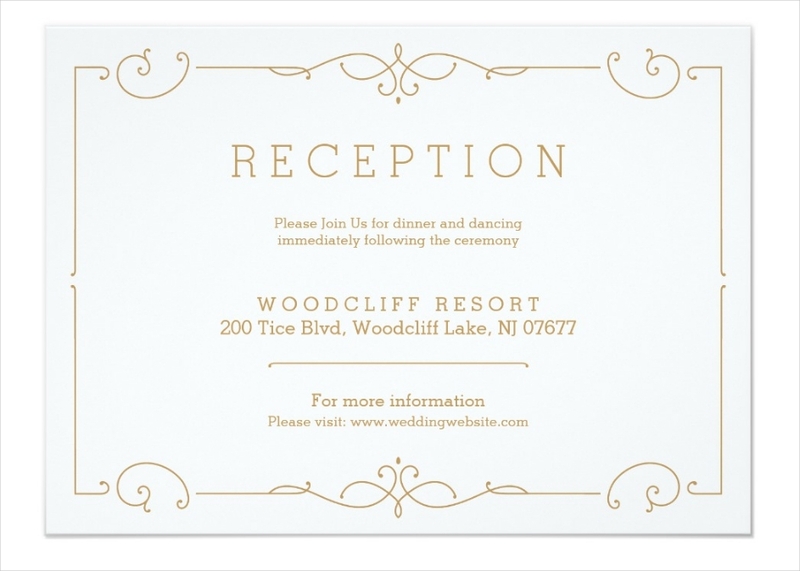 Aside from the Wedding Invitation, guests also look forward to having their hands on the wedding reception invitation. 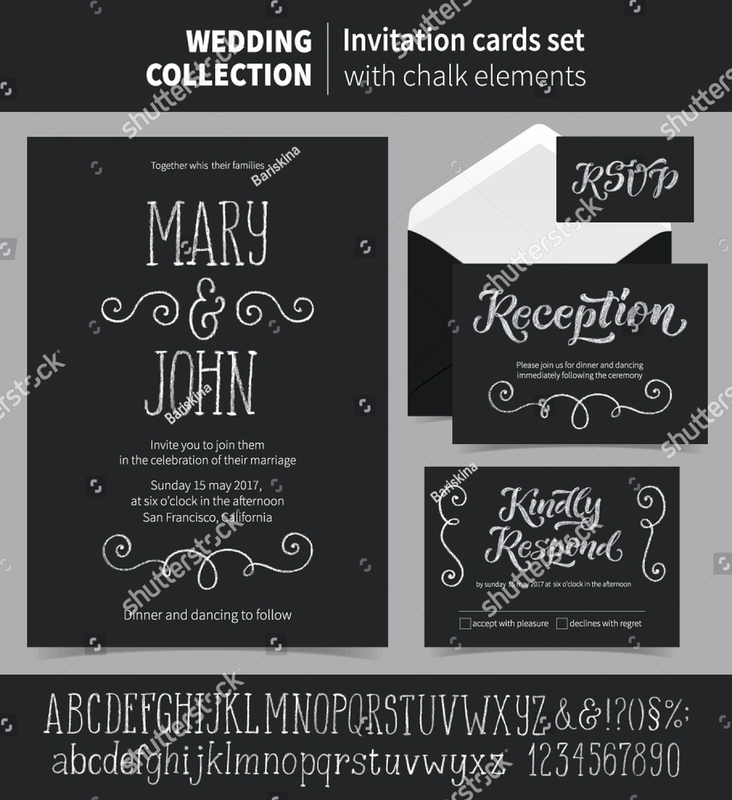 A wedding postcard mainly focuses on the wedding ceremony while the latter gives an idea of the fun that is expected to happen during the wedding reception program. Some wedding reception invitations even have the details of the food that will be available for the guests’ consumption. 1. Have different representations of wreaths and other classic elements. 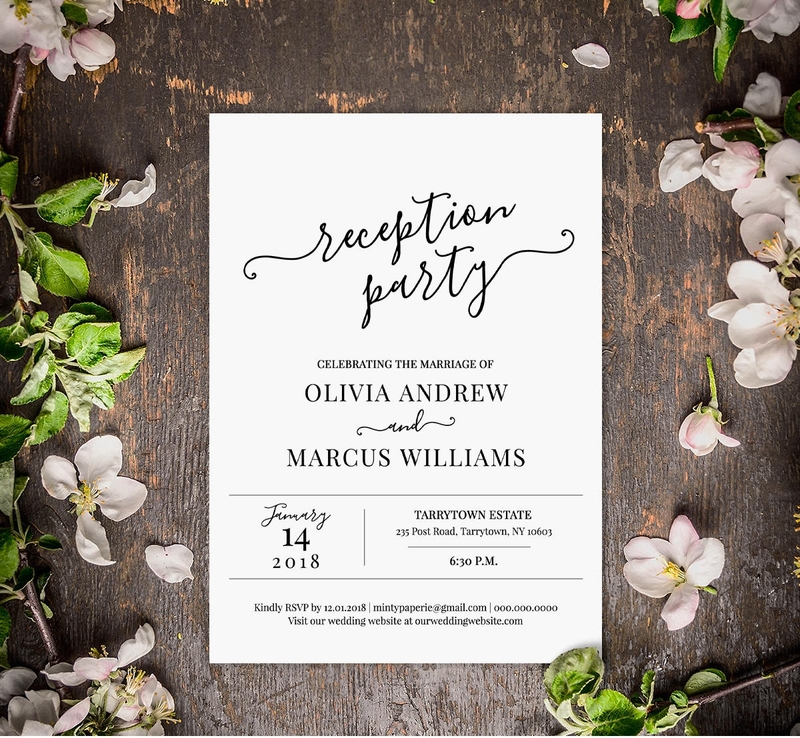 You can have silhouettes, watercolor splashes and painted lines to make the wedding reception invitation design more appealing. 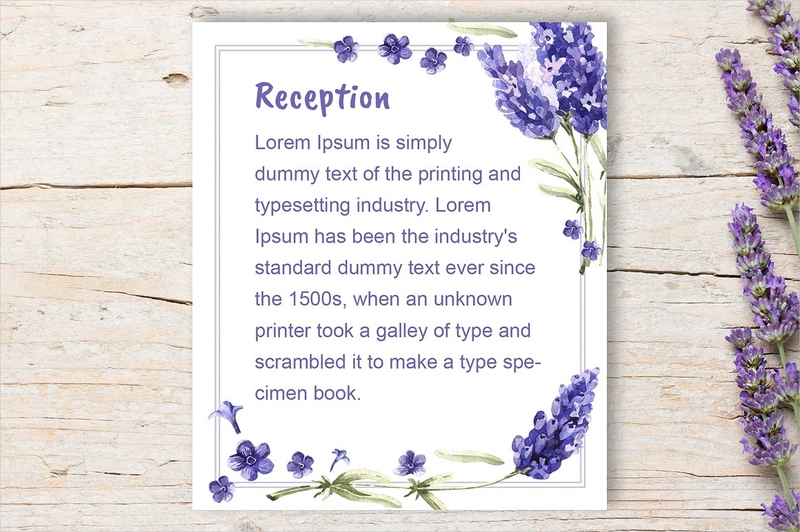 This can also be great with Outdoor Wedding invitations. 4. 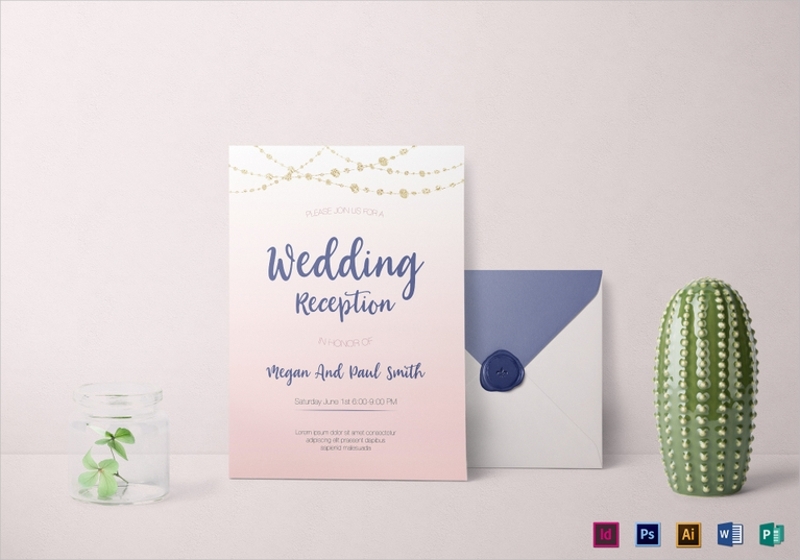 Unlike Funny wedding invitations that commonly have vibrant color selections, it is suggested to use colors of soft hues so to align the color selection to the classic vibe of the wedding invitation. Though you can have more variations aside from muted tones, ensure that your color palette is soft to the eyes and is not too vibrant. 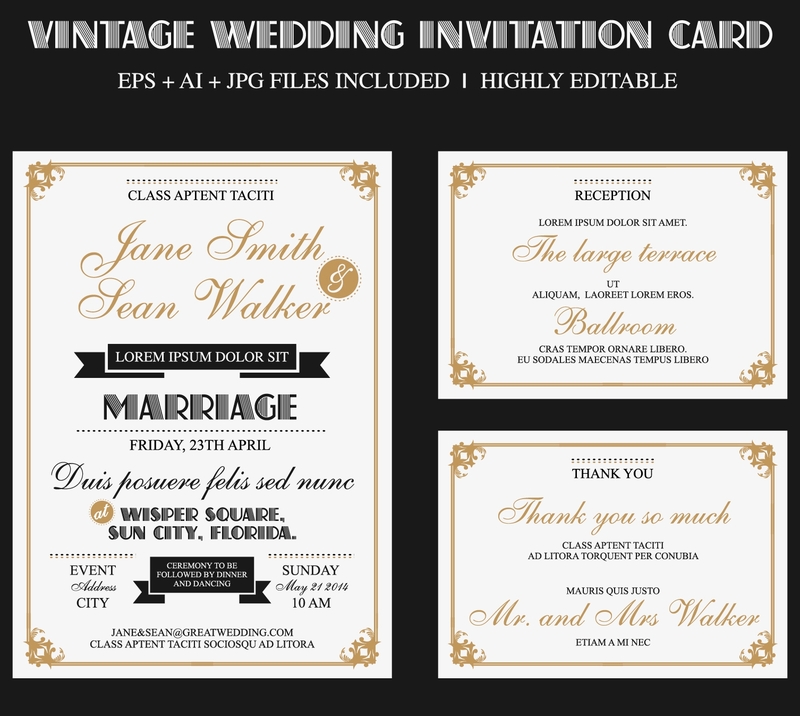 Unaware on how to make a classic wedding reception invitation? Do not worry as we can make things easier for you. 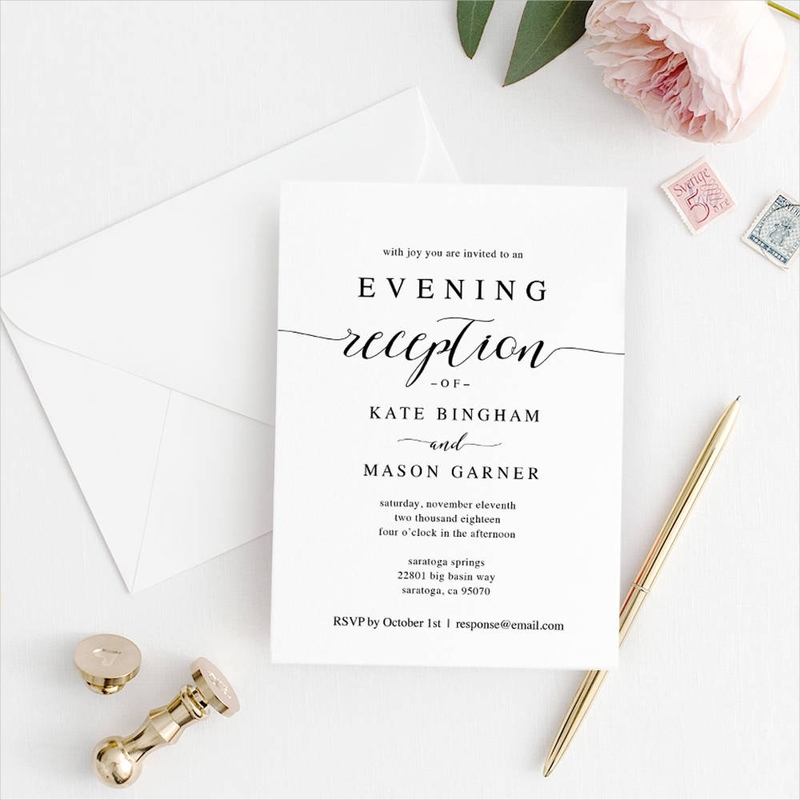 A step-by-step process that can help you develop a classic wedding reception invitation is enumerated below. 3. 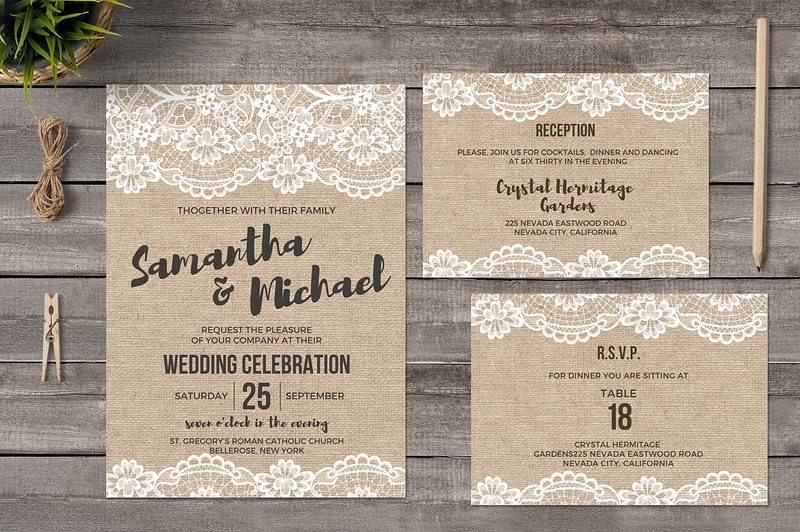 Will the wedding have a Lace wedding invitation design or Modern wedding invitations? 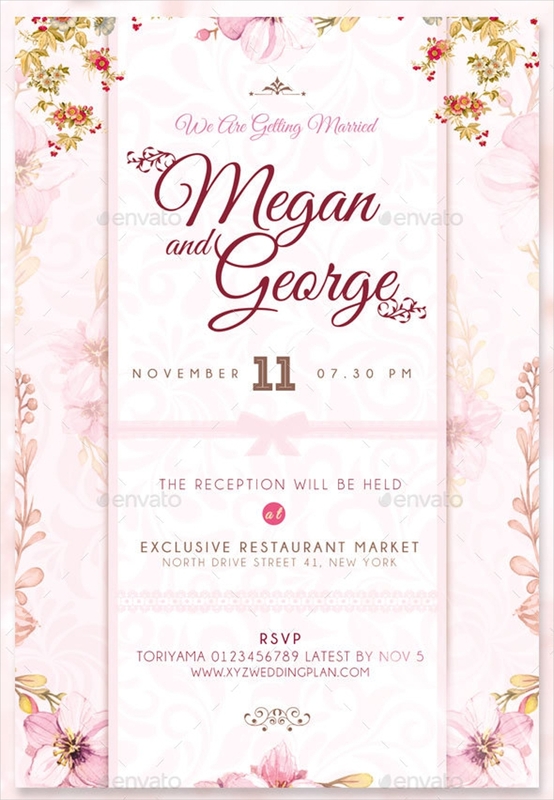 Consider the design of the wedding invitation so you can pattern your wedding reception invitation design from there. 4. 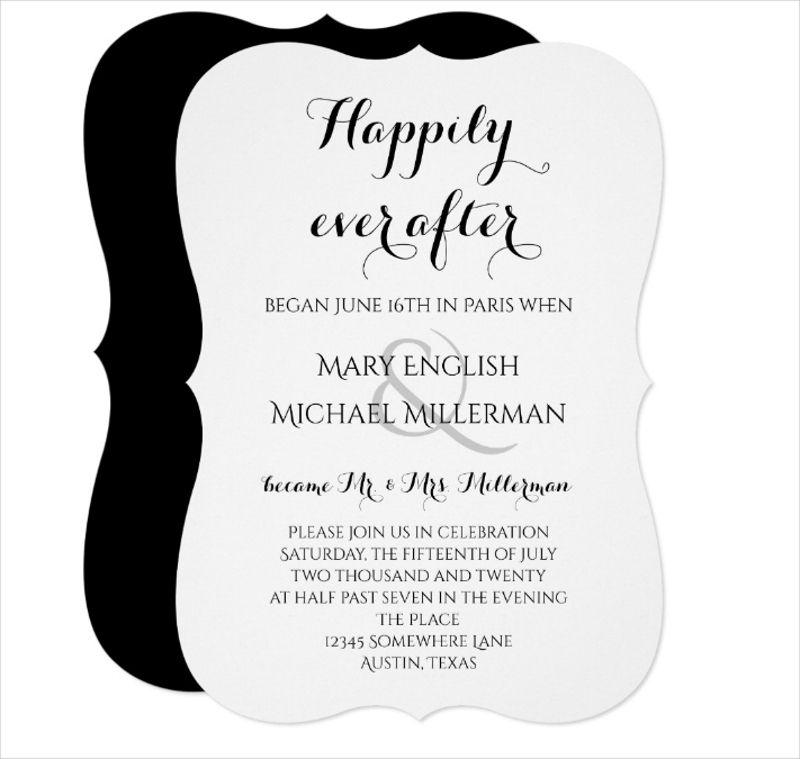 Start the design process by using Blank Wedding Invitations. It is essential for you to already have a design idea on mind so that you are already guided within the entirety of the design process. 5. Gather all the design materials that you would like to use to realize your design vision. 7. 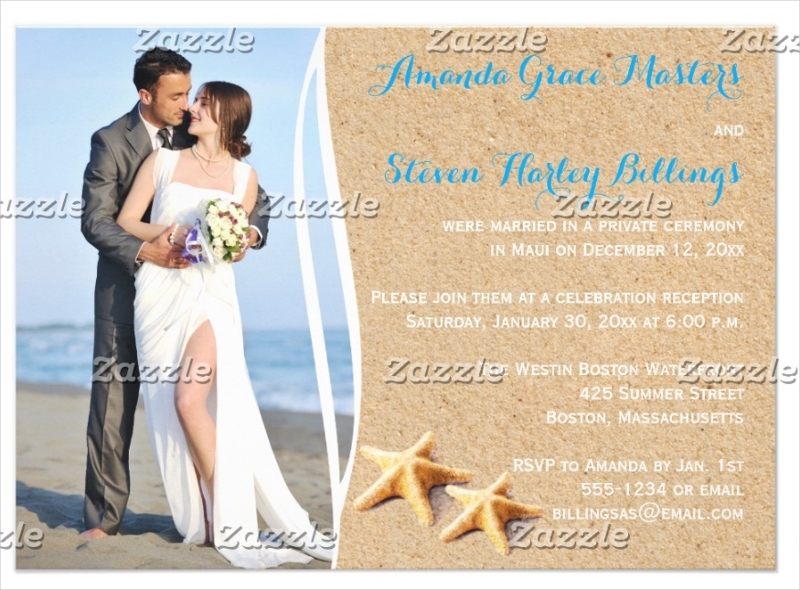 Add all the other design elements and textures to finish the wedding reception invitation design. 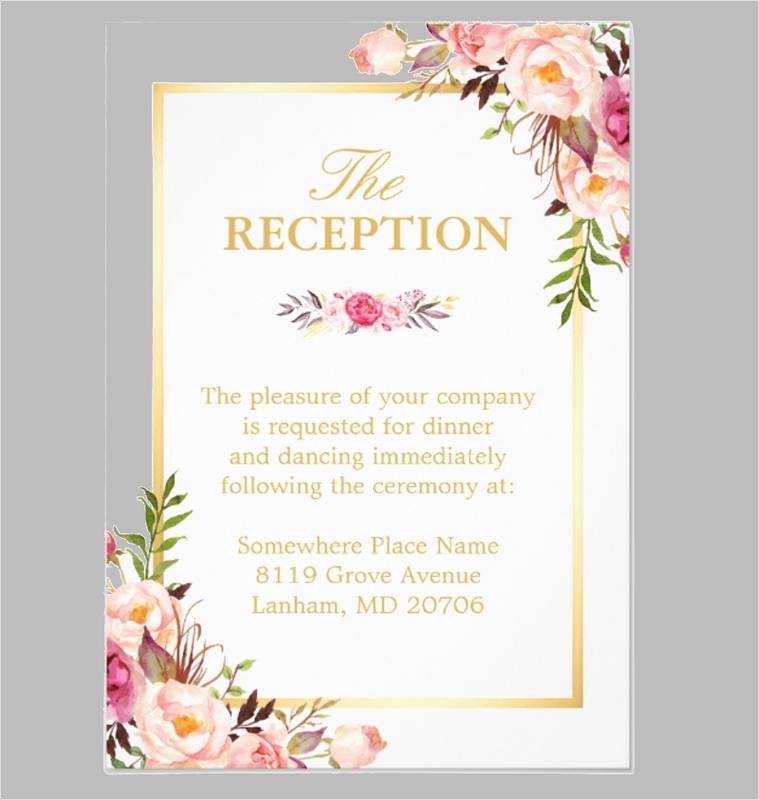 All your wedding cards should be design-related with one another which is the reason why you need to look into all the designs of all the other wedding cards before finalizing the design of your classic wedding reception invitation. 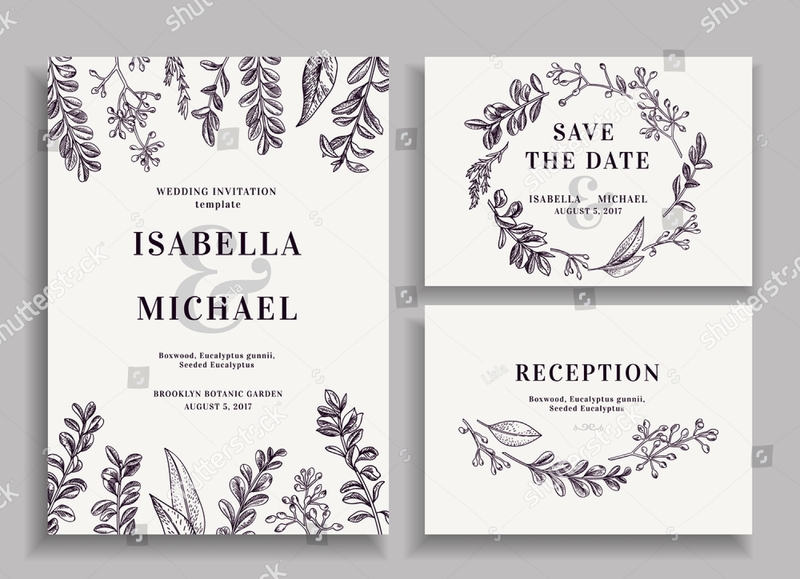 Do not forget to look at the Fairytale wedding invitations, Watercolor Wedding Invitations or any other kinds of wedding invitations that you will use. 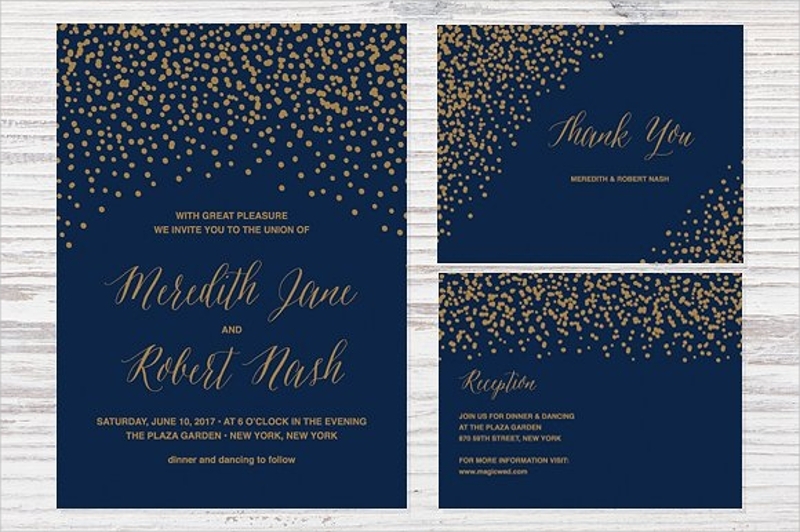 Since you are already guided by our samples, tips, and guidelines, create your own classic wedding reception invitations now.